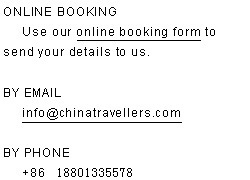 The cost is 700RMB (about 110 US$) per person. 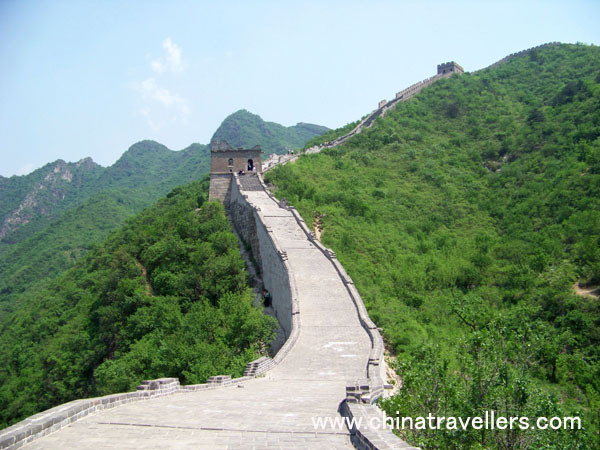 It includes transportation, entrance fees, water and guides. 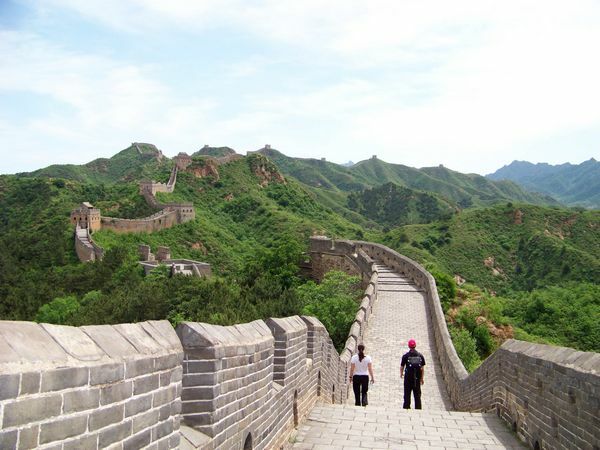 We give 10% discount for students, members and kids under 12’s. 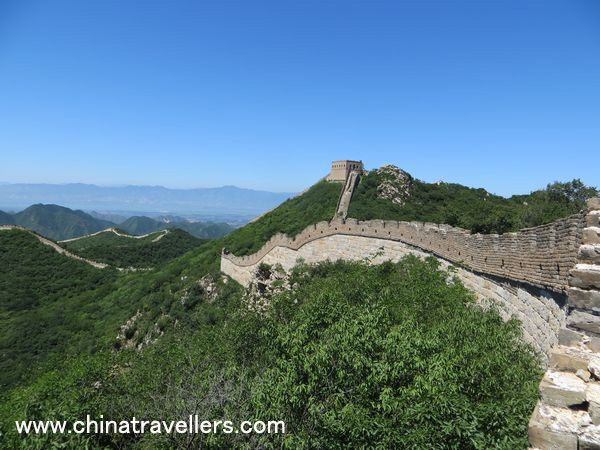 The hike combines both the completely unrestored wall and the restored wall. 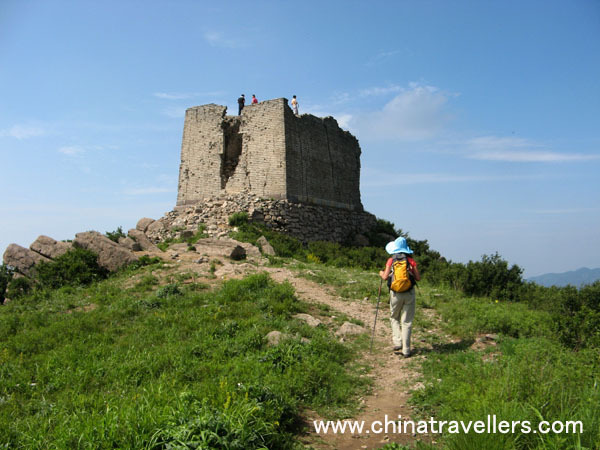 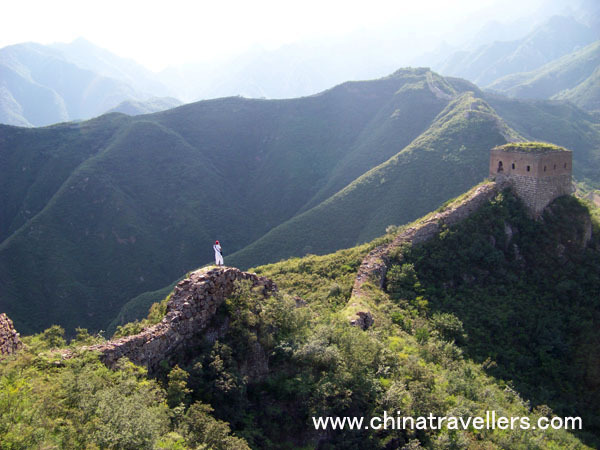 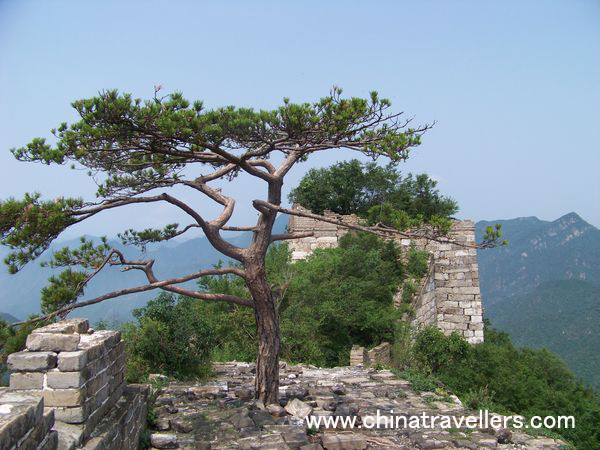 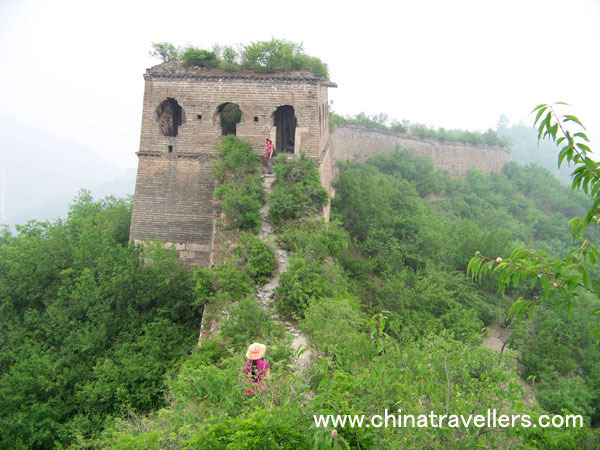 We’ll start off the hike from a small village, following a hillside trail to the General Watch Tower on the Great Wall. 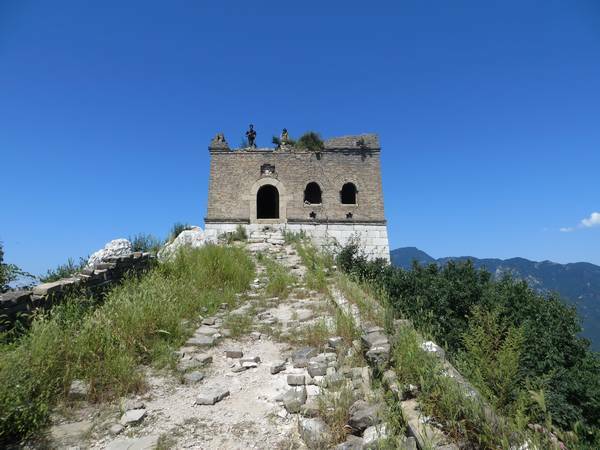 We will get a peak overlooking of the whole section of Gubeikou Great Wall on top of the tower. 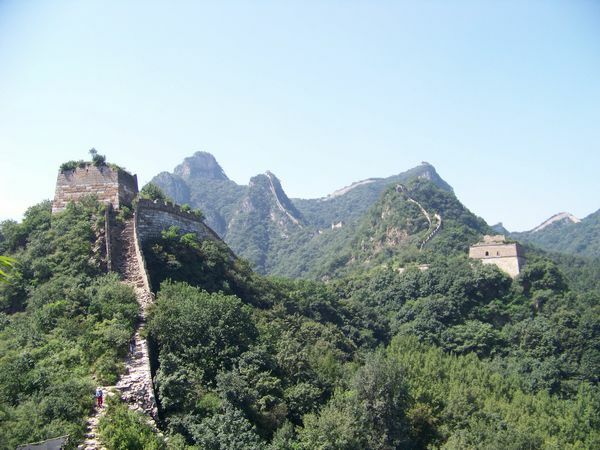 Then we will hike southeast on the wall. 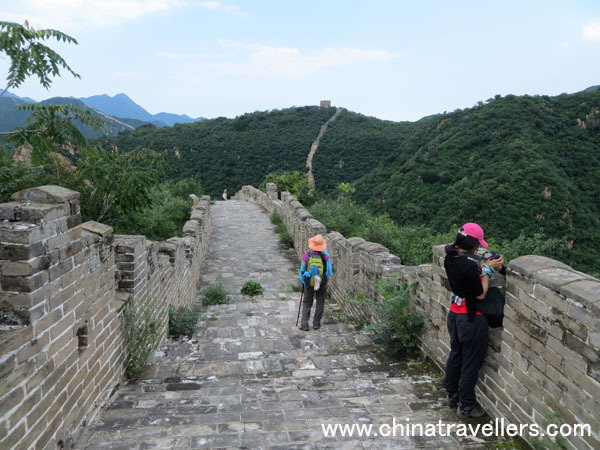 This section of wall is completely untouched and almost devoid of tourists, allowing for a serene walk. 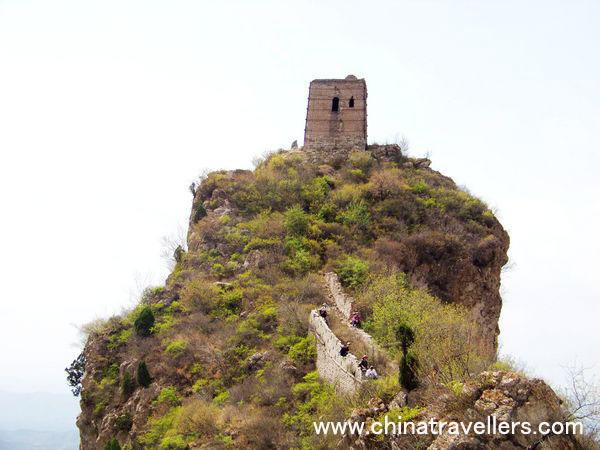 About one hour later we will reach the 24-Eye watch tower. 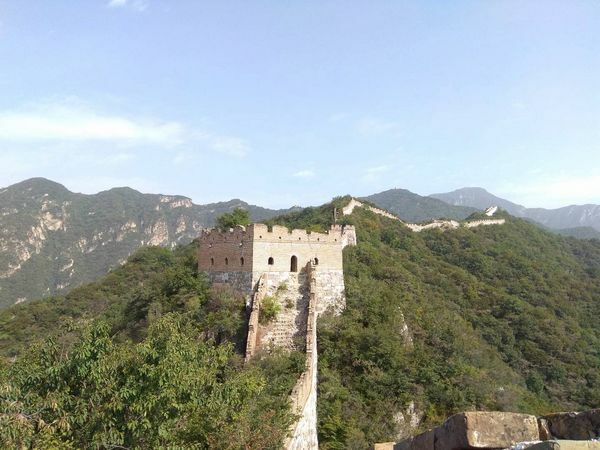 From there the Wall is stopped for military area. 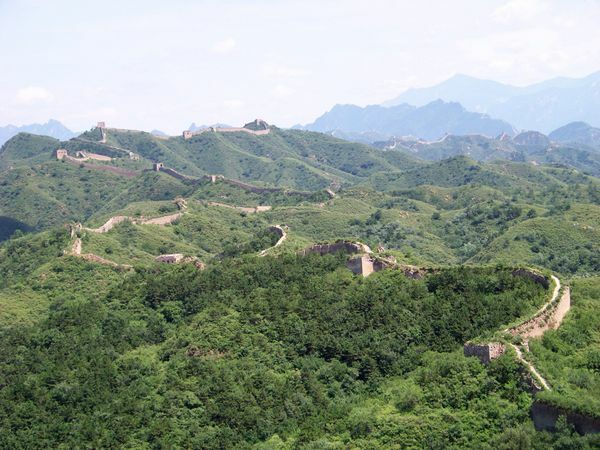 We need to come down the Great Wall and make a detour around the military area. 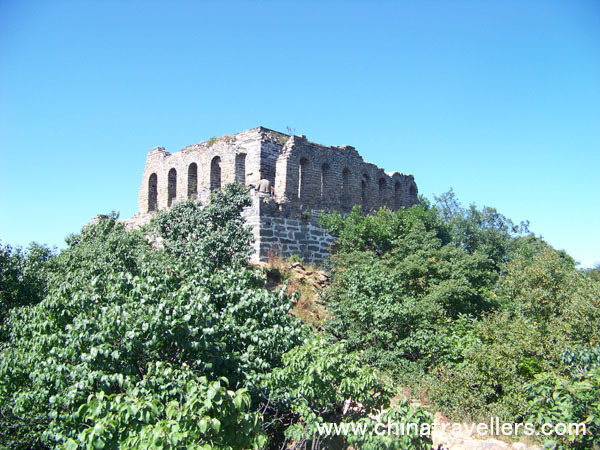 In about 1.5 hours we will walk back the Great Wall again where is West Jianshanling Great Wall. 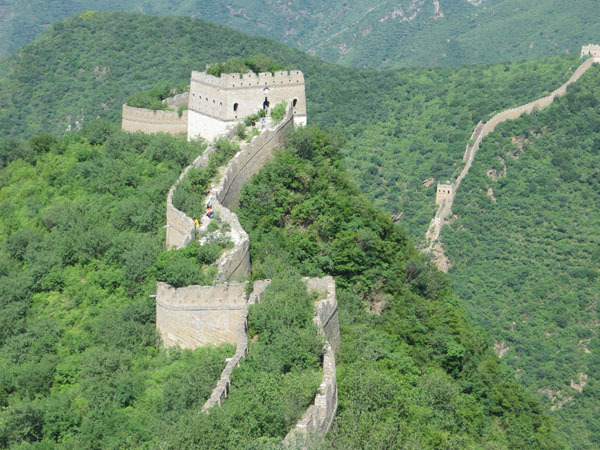 We will have our lunch on the West five window Tower. 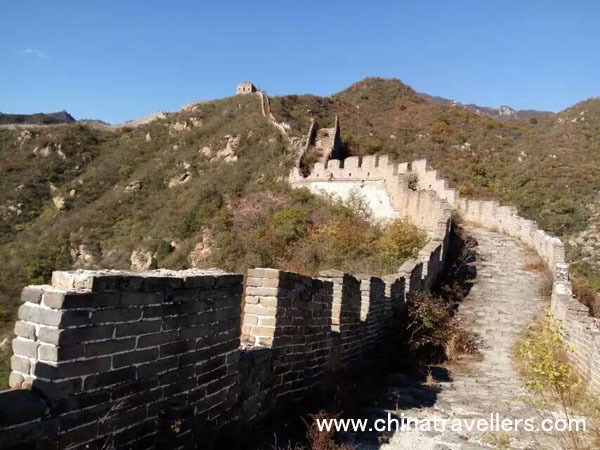 After lunch we will walk on Jinshanling Great Wall for another 1.5 hours and come down the Great Wall from the middle part of the Jinshanling. 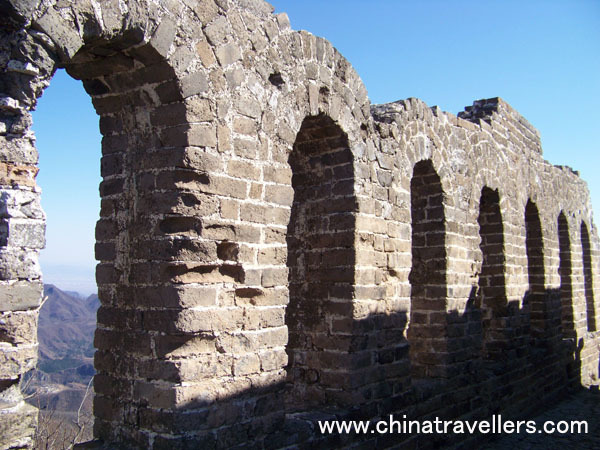 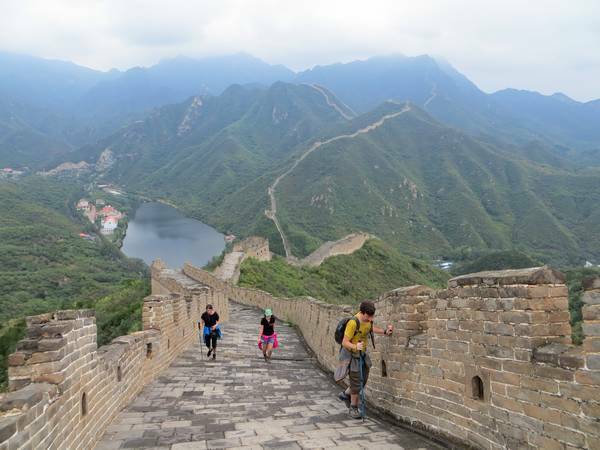 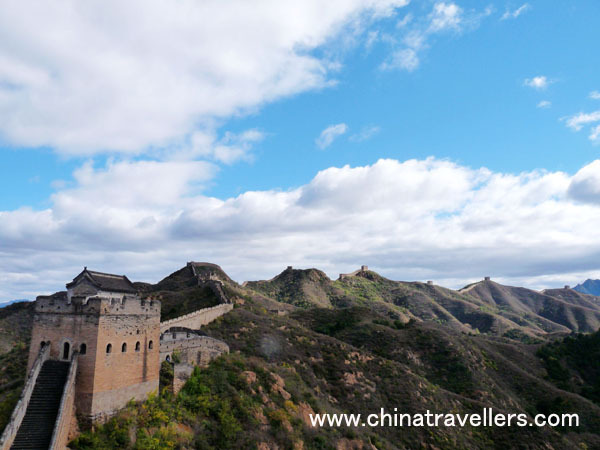 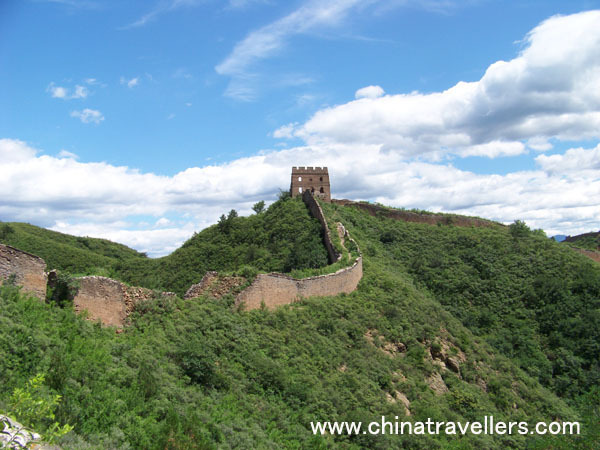 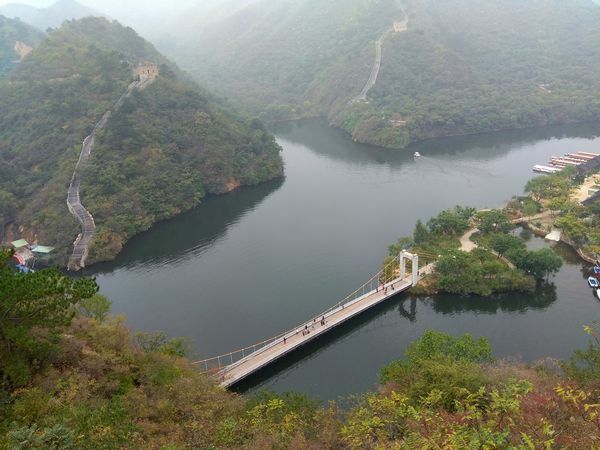 If you are fast and very fit you can finish the whole section of Jinshanling Great Wall and come down the Wall from the Kylin Tower.